How I See the World AND work 9-5 – Where's Clair? Since I started blogging (a mere 4 months ago!) there is one blogpost that people have been practically BEGGING me to write. How do I do it? Basically, how do I manage to travel so much and still work full time? The internet is packed full of bloggers who will tell you how they “dropped everything to travel”. There are so many people out there who just quit their jobs, sell all their stuff and live a nomadic lifestyle. I applaud these people, but it’s not the life for me. My aim in life is to have balance. I want to see the World, but I also want to have a home. I want to have meaningful relationships, not just a revolving door of friendships as I move from town to town. I want to have a career in which I make a difference to people and I want to progress in that career. I guess in a way my story is about balance. How do I balance my life at home with my desire to travel? Well here are a few of the ways I can hold down a full time job AND see the World. The first and the most important thing is that I love my job. I work for a charity in the health research sector and this is one of the main reasons that I have not packed my bags for good. While I’m saving for my next trip, I enjoy my work and my colleagues and I do get the feeling that I am making a difference (even in a small way). This makes everything so much easier. Travel costs money. There are no two ways about it. Some people will tell you about all the ways that you can travel for free and if you are a full time blogger you can probably get your trips sponsored etc. But I speak as a regular person, “Josephine Soap” if you will! So obviously working full time can help to fund my trips. As well as this I also use a number of money saving tricks. In order to get the cheapest flights I fly at ridiculous hours in the morning. In fact I have an alarm on my phone called my “Ryanair Alarm” which gets me up at 4am for their earliest flights! I shop around for the best deals for hotels and I am not afraid to slum it if I have to. As a matter of fact I prefer to stay in a place with a little “character” than in a 5 star hotel that could be anywhere in the World. Sometimes, depending on the economy, you can spend far less being away from home that you would on an average weekend in Dublin, which is kind of like saving to me! Holding down a full time job means that I also have to budget my time wisely. There are only a certain amount of annual leave days that I can take throughout the year. There are lots of ways that you can get around this. For example, if you are allowed to build up time in lieu, you can take extra days off instead of getting paid for overtime. I like to strategically use public holidays as a way to maximise my time off. I also enjoy spending plenty of long weekends exploring new cities in Europe. Every few years I like to take an extended period of about a month and go somewhere special. There are so many reasons to travel in the low season. First of all, it’s cheaper, much cheaper! Secondly, there are fewer tourists, which means that landmarks and tourist attractions are not crowded with people which makes for a much more enjoyable experience. Not to mention, it is much better for photography! Since there are fewer tourists, you can also get to know the local people and contribute to their businesses throughout the year. One final point is that the weather is generally milder so this is better for my pale Irish skin! This is a hard one. I have been told that some people think that my way of travel is selfish. It’s true that if I want to go somewhere and I can’t find a travel buddy, I will just go alone. I am also aware that I once ditched my friends to go to Cuba, because their holiday in Benidorm didn’t float my boat. This is obviously not a personality trait that I would be boasting about, but it is an important part of how I travel. Thankfully, my family and friends are very supportive of my way of life and understand how important it is to me. Of course we are all different, but I can never understand how people go back to the same place every year on their holidays. It would bore me to tears! I rarely visit the same place twice, because there is so much of the World to see! I am very open about the fact that travel is my only luxury. I don’t wear fancy clothes or spend a lot of money on my hair or make-up. I would rather have a weekend break in a new City than a designer handbag or pair of shoes. The way I see it, the memories will last long after the fashion changes! 8. Pick a place and Go! Finally, I have a list of places that I want to go and I try to tick them off as much as I can. Unfortunately, it seems that my list keeps growing instead of getting shorter! 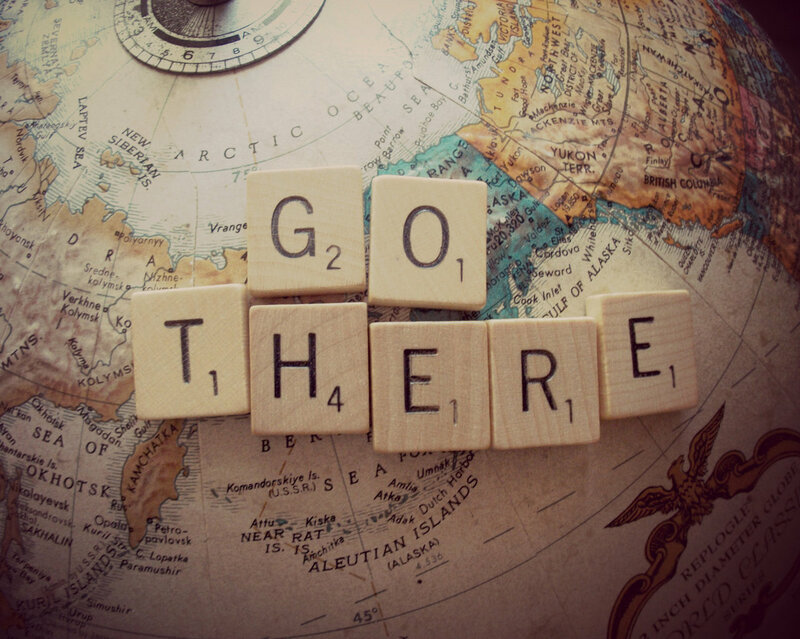 But I would say pick a place you have always wanted to go and just go. Set a plan in place, save up some money and go! I realise that we all have different circumstances, but the achievement of working hard and making it to a place we have always wanted to go is something that you cannot describe. I hope I can inspire people to go a little outside their comfort zones and to try and see just some of what our amazing planet has to offer. Meet new people, eat new food and try new things. I promise you won’t regret it! I love that you take a realistic approach about blogging, like mentioning the fact that it does involve money. One of my problems with many bloggers to say is how they claim that things can be had for free, or for less, or in exchange with something. I'm not saying it's not possible but I think we shouldn't mislead people or give them unrealistic expectations when it comes to traveling. Cheap or not, traveling involves money and for me, it is no problem if someone chooses to stay in his job so he can fund his trips. 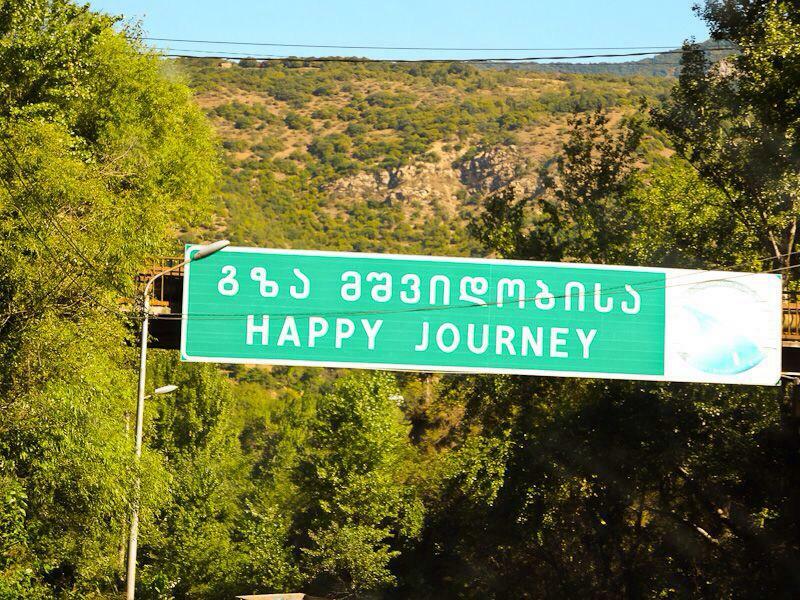 Nomadic traveling is not the only way to go. So that is how you do it, Clair! In short, you stick to the basics, the simple and avoid complexities and complications, leaving you with more room to truly enjoy you travel vacations! Those realizations or rather tips for me are indeed true. Most of the time complications make us forgo our plans or worse, ruin them. I just love how you see and approach things. So practical yet fab! Thank you for sharing with us some tips on how you work and travel at the same time. I hope I can this too because I miss travelling so much! I like your perspective on things! I love your writing. And I agree with you for everthig you said. I wish I could travel more! I love this article it's so true and I agree. I don't need to leave my job to travel the world because first I can't afford it, second I have family that I need support. I admire the kind of job you have, working with charity is so rewarding. I'm planning to move once I leave the corporate world. Cheers to more travel! I super like this article. Some very valid points. Being a part-time traveller myself, I can relate to it. I have written something on Part-Time Travel recently. Please do visit, if you get time! Thanks for the great post again! I absolutely loved reading this because many of your points resonated with me personally. Before my current blog, I had a travel blog. As my partner and I approach our 30's our priorities have changed; family, children, house, career so I “closed that chapter” so to speak. Awesome that you share a realistic perspective. I've only been blogging since January 2016 and so many make it seem easy to manage time, money, and posting with real life tasks. Truth is it's not especially in the beginning. Props to you for making it real. super valid advices and tips ! I just adore how open, dedicated and balanced you are ! You are goals, you know it ! I'm young and I want to travel to so many places, but I didn't had opportunities so far to go to many places. It's hard to plan and manage money for trip. You are so inspiring and I love to read about your trips! I think you are right on the money and have embraced your passion of travel. When you do that you will do just about anything to make it happen. I like how you are just real about traveling and how much you love it. I am going to use your tips! I also work full time and travel on holidays and weekends. It's all about time management. Great insights in your post , I have always wondered , how people manage travelling that much . It does cost a lot of money . I agree with what you say about going back to the same place year for year . I live on Tenerife , a through and through touristy islands . Most holiday makers , I got to know during the 15 yrs living here , are coming back same time of the year, same place , same hotel , same restaurants …. how many more stunning places are they missing ! I would want to see as many different places as possible . Love your candid post about how you really make your passion (travel) and holding a full time job work. The bottom line is, I believe if you truly want something, plan it out and you can make it happen. I wish I could travel more! As you said is all about to find balance! Time management and money are essential! I agree with Lily, if you really want something you’ll find a way to make it happen! Just do it! seems like you've got it all figured out, you're lucky! Very realistic approach and posting, thanks for the info! 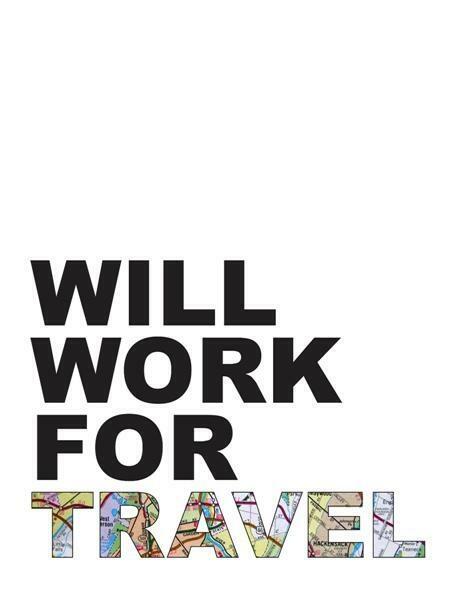 Would love to travel the world while working.. that seems to be everyone's dream… sigh. Yes, traveling may cost a lot and good thing you have ways on how to spend less! Great post about how the world looks to you. You have to keep things in perspective. This is so true. I love blogging, but I'm not going to change my life to it. It's kind of the same. To travel the world while working is a dream to me too! =) Perfect to see that you have figured your life out pretty good! Similar to you, we both have full time jobs and we also travel. I agree with you that traveling is costly even if we try to keep it on a budget. And I do believe to make our trip more worthwhile we should spend more on experiences (for example: ride a hot air balloon in Cappadocia, Turkey). And I think, in order to be able to travel off season, we should target trips abroad during that time. Finally, I can totally relate with you that my bucket list just keeps on getting longer. There is so much to see and explore. I liked how you presented balance in this post– promote responsibility at the same time pursue your passion on travelling. (Newbie) travel bloggers should learn a thing from your approach and seriously consider this as model. Oh how I love to travel and work at the same time. But my nature of work doesn't seem to give me that opportunity. However, with you manage and see the world and work together, there's still hope to make traveling part of my life!!! Your points of views are very much helpful to people like me. And indeed, it is still the best place to have a home after you travel off from places to places! Love it! I can totally relate to every point as I am in the same boat. We do what we do to make it work!